Happy Monday everyone! I hope you have all had a great weekend. I know I did. It was just a nice relaxing one. Today I have another new mini stamping plate from Uberchic Beauty to share with you - the Basketball Love stamping plate. As I mentioned in my Soccer Love stamping plate review (you can see that post here if you missed it) I am not a big sports fan at all so these plates aren't really something I will be continually grabbing for. If you love basketball then this plate is definitely for you. One this about basketballs when you look at them closely is that they are quite textured. I thought that I would basically do a multicoloured version. For my base I used the entire Jelly Shot Collection from Hit The Bottle over Emily de Molly Bright Retreat and stamped using Powder Perfect's Black Stamping Polish. 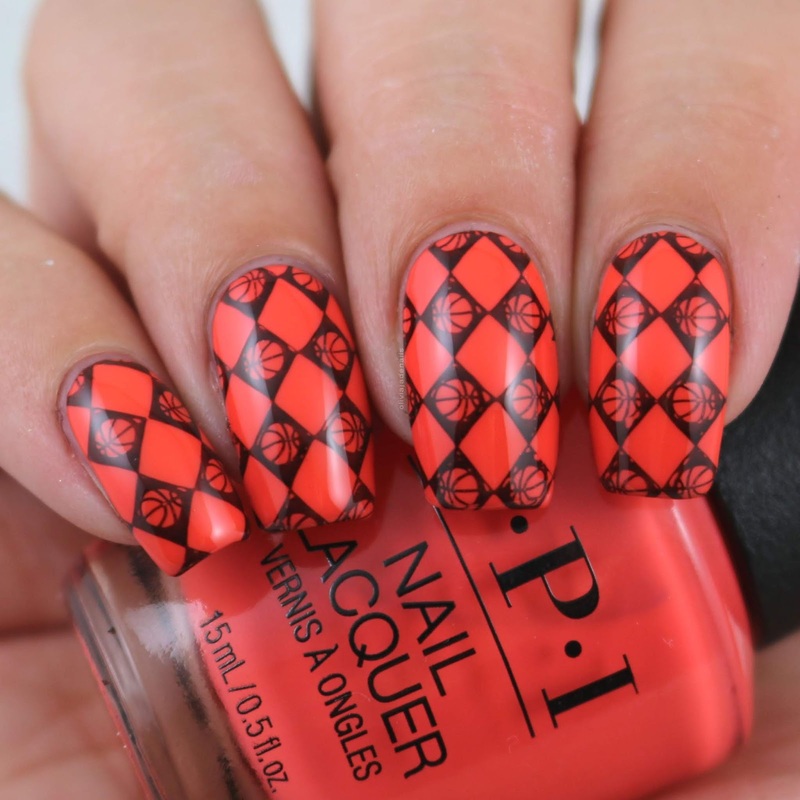 Now is it really a basketball plate if you don't do an orange and black mani? I don't think so. For this mani I used OPI Tempura-ture Is Rising as my base and stamped using Powder Perfect's Black Stamping Polish. As I mentioned before this isn't really my sort of stamping plate, however I imagine if you like basketball (or have a partner or family member who plays basketball) then this is a great plate to have. I had zero issues with how the images pick up and transfer to the nails. 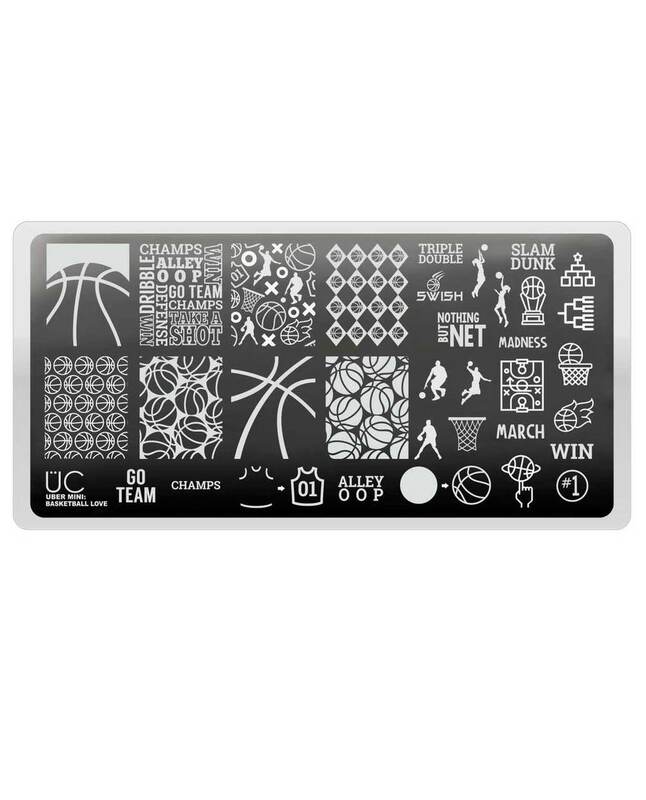 The Basketball Love Mini Stamping Plate is available now from Uberchic Beauty.